November is a great time to reflect on the many blessings of the past year here at the arboretum. We are grateful for so many things. We enjoy serving you and serving with you to fulfill the mission of this organization, to promote through education and stewardship the conservation and use of plants native and adaptable to Kansas. Generous Supporters – When I became director, I had no idea how many people there are who underwrite the work we do throughout the year. I have been amazed at the generosity of our supporters. Your financial gifts are not taken for granted. Each membership and each donation is accepted with much appreciation. I view your support as a partnership. Thank You! Dedicated Volunteers – When people come along side us and give us their time and talent, it makes a difference. Volunteers are special people. Last year, volunteers contributed over 2,000 hours of valuable service to help us accomplish the work of the arboretum. 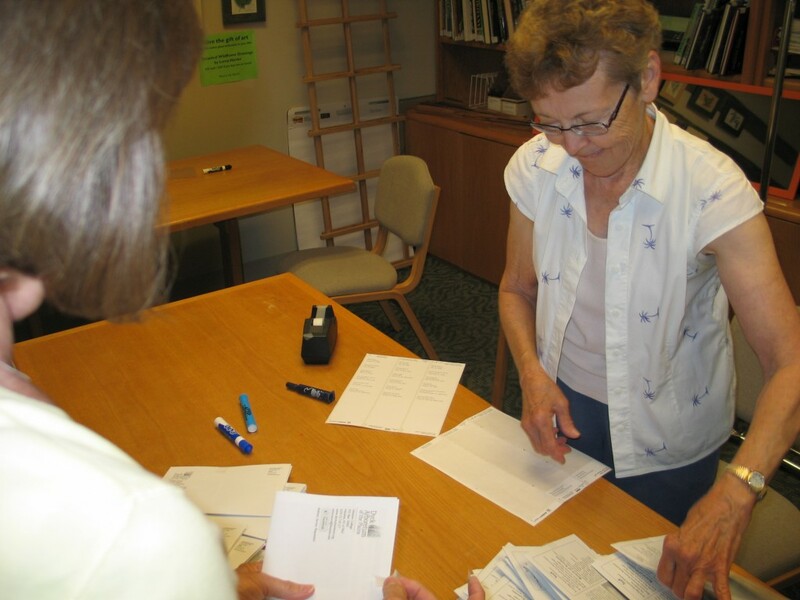 We encourage volunteers to use their skills and interests to help in our valuable work. 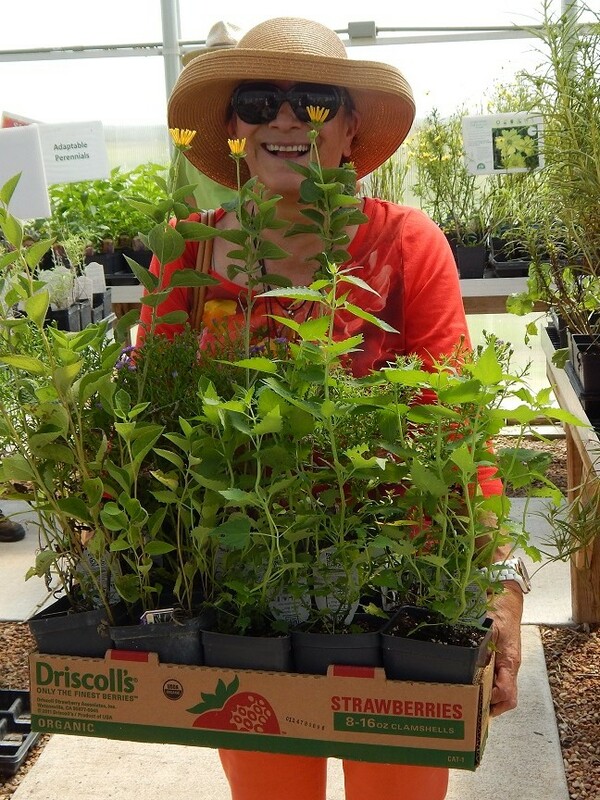 Volunteering is a great way to support our mission, as you share your experiences about this prairie garden with others, learn about plants, meet new people and serve our visitors. Thank You! 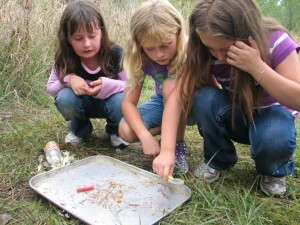 An Important Mission – Since its inception, the arboretum’s mission has been about the prairie. 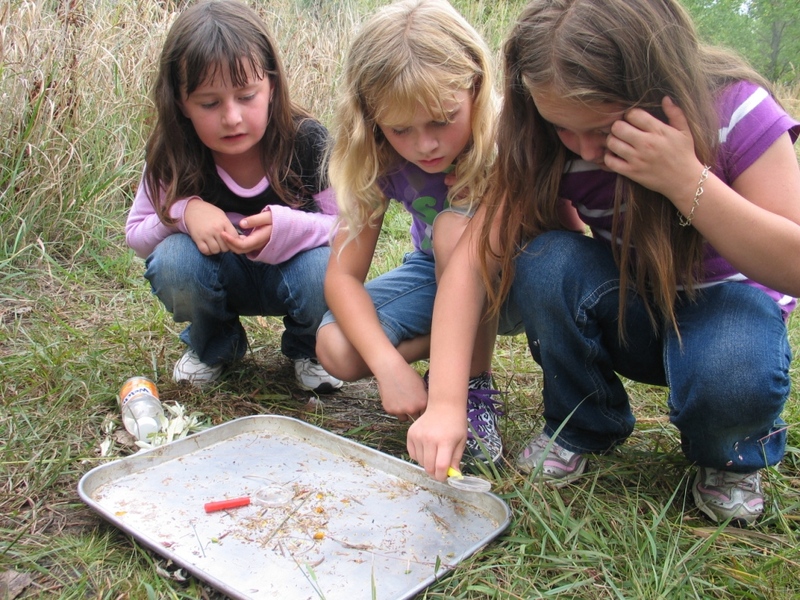 We are a prairie education facility that promotes stewardship and conservation. 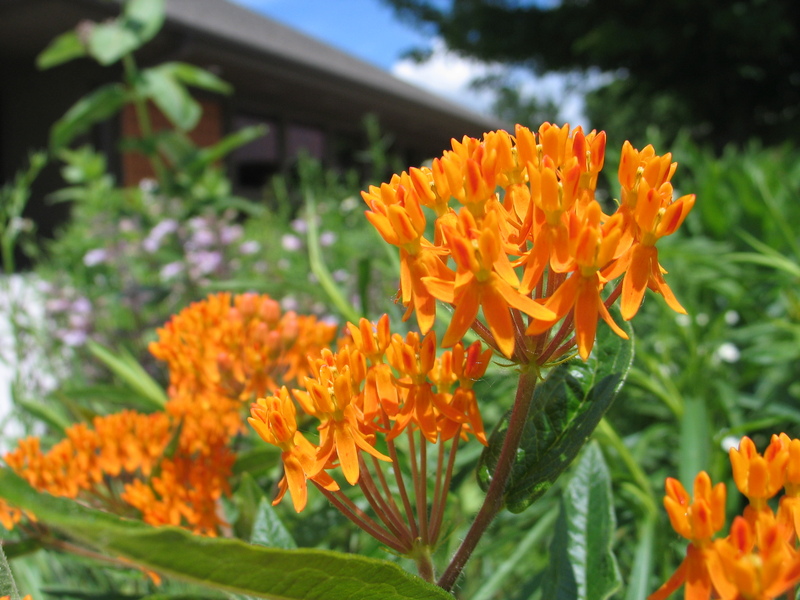 Advocating for plants that use less water, teaching children about the prairie and its many benefits, and hosting events that bring visitors to the arboretum are at the heart of our calling as an organization. Our core values have never been more important in the world. Earth Partnership for Schools (EPS) – This signature arboretum program has impacted over 21,000 students, 173 teachers from 58 schools over the past eight years. Thanks to the dedicated work of teachers, who were guided by our EPS staff, students are able to detach themselves from the daily distractions of technology, slow down and observe the beauty of the prairie. This program perfectly fits our mission and is having a positive impact on students in Kansas. A Successful Year – All the reasons above and many more have helped the arboretum continue to grow this year. Our goal is to increase our influence, educate more people, and enhance the arboretum gardens and programs we offer throughout the year. We had one of our most successful years because of your efforts and support. THANK YOU! Bonus Reason! Dedicated Staff – I am fortunate to lead a team who love the arboretum. These individuals strive daily to champion the mission of the arboretum and provide you with excellent programs and events. I wish you could see their diligence, hard work and passion. I am blessed to serve with them. Thanks Brad, Janelle, and Brett! Take time to count your blessings. Be grateful for the good things you enjoy. 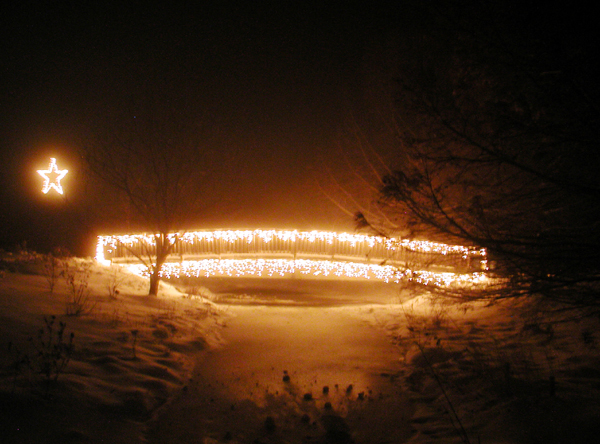 The south bridge is one of our favorite spots along the path during the luminary walk, especially on a magically snowy night. Photo by Ken Raney. 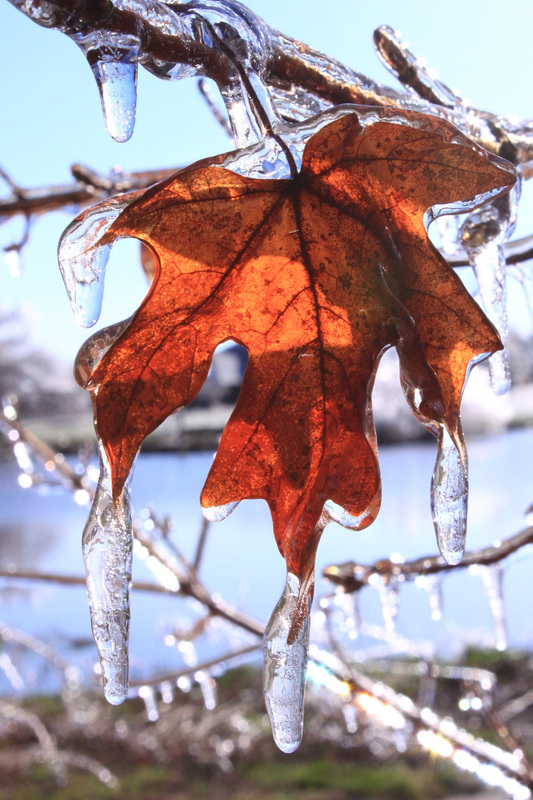 Enjoy the natural beauty of the gardens in winter. Thousands of lights bring the arboretum to life, highlighting the pure, organic forms of the trees, shrubs and prairie plants. 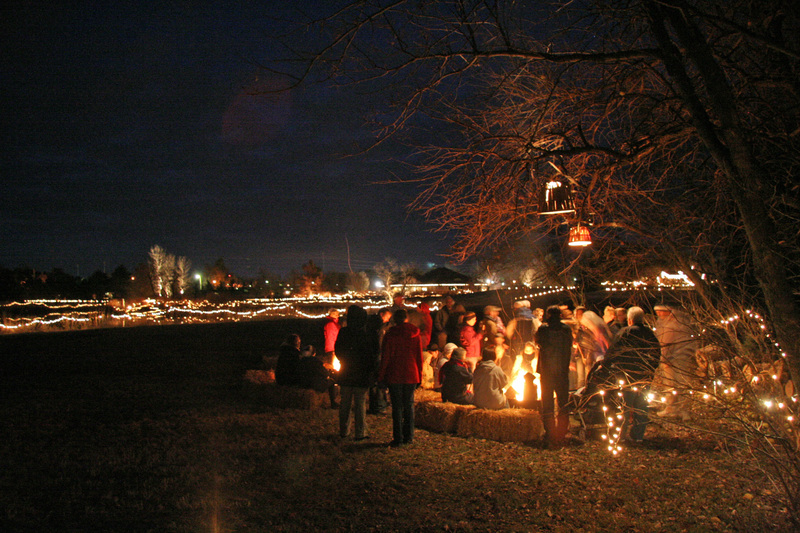 Relax and stroll the pathways with more than 900 jars and candles lighting the way. No commercial glitz – just the simple, soft light of candles. Roast s’mores. Warm yourself by the fires and roast a marshmallow. Sticky fingers, but oh so good. Drink hot almond tea with Christmas cookies in the Visitor Center. This drink is perfect on a cold winter night along with cookies from the Hesston Women’s Civic Club and other volunteers. Walkers gather around the fire to roast marshmallows. Make memories at the Arboretum. It is great to be with family and friends spending an evening together. Forget about the hustle and bustle of the season, slow down and enjoy together everything this time of the year has to offer. Be creative. 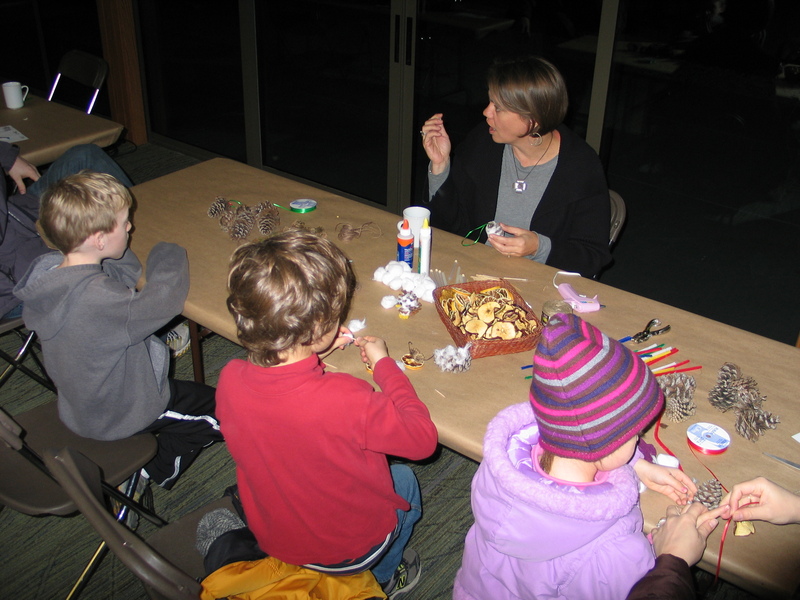 Each night children will make crafts that relate to a different culture’s holiday traditions. Learn about other cultures. With the theme “Joy to the World: A Multicultural Celebration”, this year’s luminary walk will include performers, crafts, stories and an outdoor nativity representing a variety of cultural perspectives. Stop in to the buildings to warm up and be creative during craft time. We at the arboretum enjoy hosting this special event. It is unique because it invokes fond memories of Christmas’ past while making new memories with the special people in your lives. Come, relax, and enjoy this one-of-a-kind Christmas celebration. For this year’s Luminary Walk schedule and line-up of performers, click here. 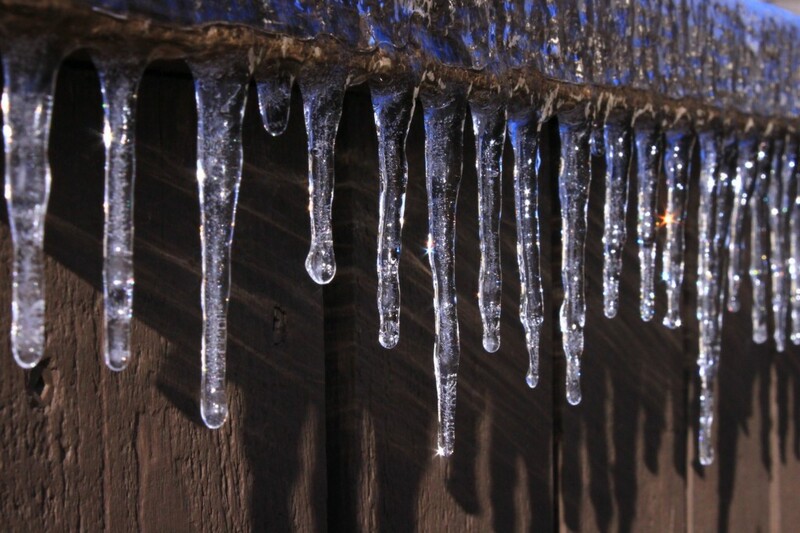 In spite of winter’s recent blast, I am feeling hydrophilic. It is true that I have a “strong affinity for water” as the definition goes. In a vocation working with water-dependent plants where Latin names are commonly used, the word “hydrophillic” (Latin hydrophilus, from Greek hydr- + -philos -philous) should be common vernacular. It may seem silly to state this affection given that everyone knows human survival requires regular access to potable water. But it feels fitting to make this proclamation after experiencing a 2014 Kansas growing season of near average precipitation when rain fell regularly and nearly always when it seemed to be most needed. Our home lawn didn’t require much irrigation to keep from going dormant, our vegetable garden was especially bountiful, and the Central Kansas prairie was as lush and tall and colorful and productive with ripe seed as I have seen it in the last decade. With fresh memories of the scorching summers of 2011 and 2012, when heat and drought tested every Kansan’s resolve to maintain residency, I can definitely say that I…love…water. I just finished attending the first day of the Governor’s Conference on the Future of Water in Kansas, where newly re-elected Governor Sam Brownback committed that a big part of his second term will be dedicated to development and implementation of A Long-Term Vision for the Future of Water Supply in Kansas. Kansans are fortunate to have access to plentiful groundwater in the western part of the state and surface water in the east. At the moment, we are fortunate to regularly turn on the tap for a clean, seemingly limitless supply of water – a luxury that costs less than our phone bills, cable bills, and electricity bills, but is far more essential. The introductory statement in the Governor’s document issues a warning: “The writing is on the wall and if we don’t act today, our future is bleak. The Ogallala Aquifer is declining faster than it is recharging. Reservoirs, which are critical water storage structures for much of our state, are filling with sediment. At this rate, with no changes in the next 50 years, the Ogallala will be 70 percent depleted and our reservoirs will be 40 percent filled with sediment.” Most of us haven’t experienced a Dust Bowl in our lifetime or don’t remember the one we did. Hopefully, we won’t experience one in our lifetime, but odds are increasing that we will. 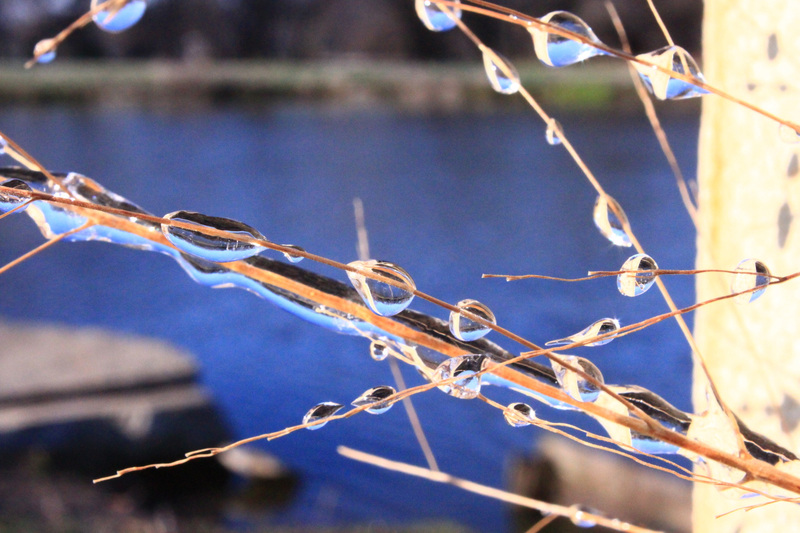 Wise Use of Kansas Water will be the topic of our Dyck Arboretum 2015 Spring Education Symposium. This symposium will explore the history of drought cycles on the Plains, the current status of our Kansas water supply, what steps are being taken to protect it, and offer ways we can better conserve it. Stay tuned for more information. In the meantime, love water. It is true that pollinators are important for many reasons, including food production. According to the Natural Resources Defense Council in a report from March of 2011, “more than $15 billion a year in U.S. crops are pollinated by bees, including apples, berries, cantaloupes, cucumbers, alfalfa, and almonds. U.S. honey bees also produce about $150 million in honey annually.” It is also true that populations of pollinators are declining throughout the world. There are many reasons for these declining populations, but what can we do to help them? A few simple steps can be taken in our own gardens, landscapes, and neighborhoods to create healthy ecosystems for pollinators to thrive. Our own backyard can provide the safe habitat they need to rebound from these startling declines. The importance of flowering plants, especially native plants, to pollinators is well documented. 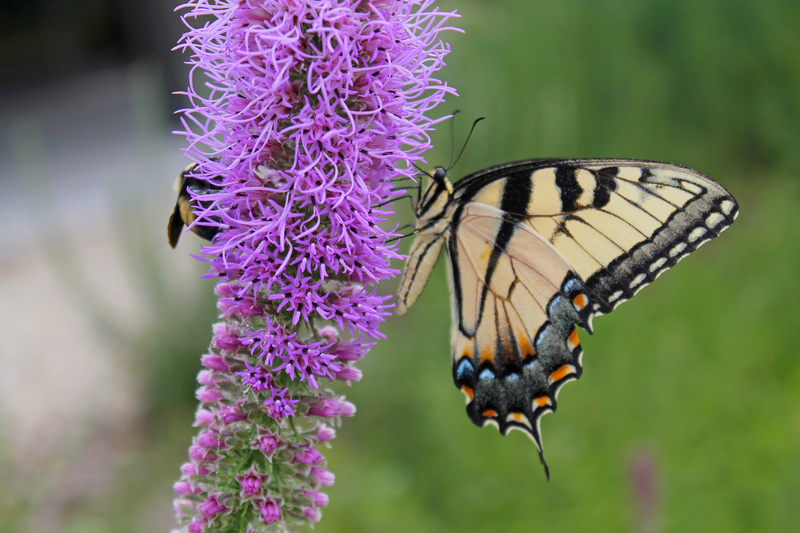 Pollinators seek these plants out in the landscape. A recent butterfly survey for Harvey County found 17 of the 22 recorded species at the arboretum. We attribute this to the many native plants we have growing here. They don’t have to search to find food. They can find food throughout the year because the prairie is continuously in bloom with overlapping wildflowers blooming from early spring to late fall. Other low maintenance perennials add to the diversity of nectar-rich plants utilized by pollinators. 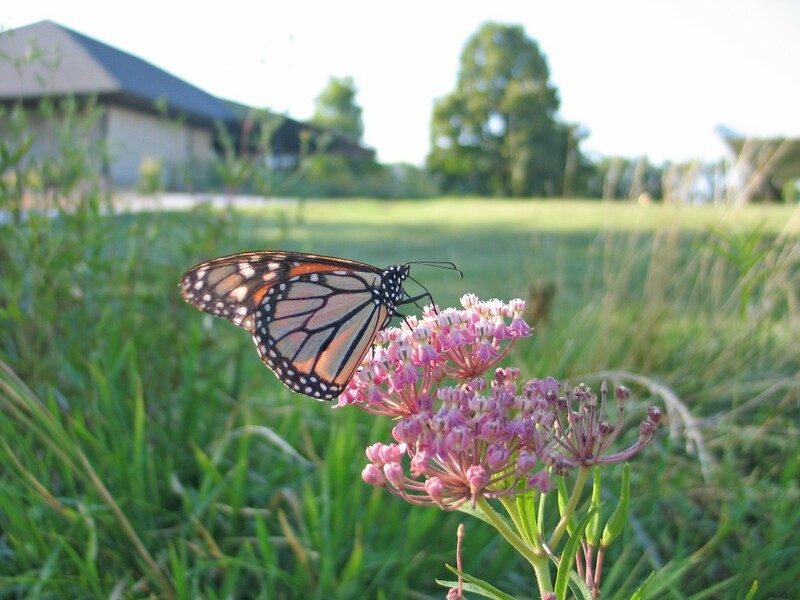 A water source gives life to pollinators. It can be a bird bath, pool, water feature or small stream. The type of source is not as important as its location. Place your water source in a semi-shaded area protected from wind along with a place to land and sip up the water. Any water in close proximity to the food they need will reduce stress on pollinators. This seems obvious, but it is important to note. When our plants are being eaten by insects or foliar diseases appear, we often grab the spray can to immediately solve the problem. Here at the arboretum, we spray as a last resort. By spraying sparingly and infrequently, we minimize the risk of harming pollinators in the garden. Think carefully about when, why and how you spray. Pollinators need easy access to protecting habitat. Evergreen trees and shrubs with layered vegetation within easy flying distance from flowering plants is an ideal habitat. The layered plants provide protection from the wind and predators. This protecting habitat is a great place for pollinators to make their homes. If you are the only garden in your neighborhood that is pollinator-friendly, it is a start. But just imagine your landscape connected with your neighbors’ gardens, which are connected with hundreds of others within the community – a giant ecosystem that can be freely navigated by pollinators. Pollinator-friendly gardens can have a tremendous impact on reversing the decline of pollinators. Educate your friends, neighbors and children about what can be done to positively impact pollinators. It has to start somewhere, why not with you?